The world is full of interesting fast-food restaurants, all with their little unique flares and flavours. And I’m ready to taste them all. However, when you are travelling abroad you might not want to sample fast-food. It’s not exactly the glitzy, adventurous choice. Nevertheless, making a detour to see what they have on the McDonald’s menu in some foreign country is always a must. With the news that the famous Filipino burger joint Jollibee and the US chicken hotspot Chick-fil-A are joining the Canadian market, I am thrilled. New fast-food restaurant openings are my World Cup and Olympics; they don’t happen often, and it’s not really that big of a deal, but still it makes me happy. Let’s take a moment to remember how happy we were to see Carl’s Jr.
Now let’s take a look at some fast-food joints that I look forward to having, or would love to have in Canada—Vancouver specifically. 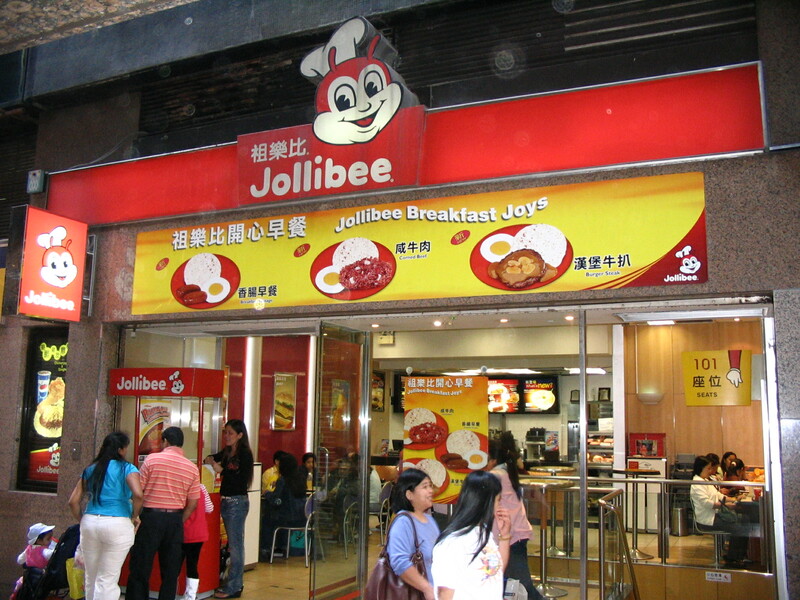 Jollibee (Philippines): In 2011, I had the opportunity to visit the Philippines. One image that stuck in my mind during that trip was all the signs with a big-eyed, red-faced, cartoon character. It was essentially the McDonald’s golden arches. The fact that they served spaghetti could not be ignored; I had to try it. Although the experience in the Philippines was lacklustre to say the least, the novelty stayed with me. There was a lot of charm to Jollibee that was absent in some other fast-food restaurants. For a lack of a better word, it was cute—like going to a Build-A-Bear store. It’ll be a treat to visit one in Vancouver. In-N-Out Burger (US): It’s unlikely that we’ll be ordering from an In-N-Out Burger in Canada anytime soon. Owners of this popular American fast-food chain don’t believe in franchising and have high-quality standards, meaning none of their products are ever frozen. They cannot expand effectively without lowering standards. The fact that everything is processed and delivered locally is really what makes it so awesome. I’ll just stick with Carl’s Jr. for now. Voodoo Doughnut (US): If you’ve ever been to Portland, you’ve probably seen the long lineup for customizable doughnuts. Purely a tourist attraction, I’m still intrigued by how a doughnut with random toppings on it would taste. Still, I’m not going to waste my trip to Portland standing in line for doughnuts. It’s just not going to happen. Nevertheless, I feel like buying a bag of Skittles and going to Tim Hortons wouldn’t have the same effect. Bob’s (Brazil): The fact that there is a restaurant with such a generic name—which also might have inspired the popular animated series—is charming enough. In Rio de Janeiro, Bob’s is almost everywhere. It might as well be McDonald’s number one competitors there. Aside from the name, there isn’t much differentiating them from any other fast-food restaurant. We don’t need another Americanized fast-food joint, but variety is as nice as an Ovaltine milkshake. Shake Shack (US): Why do I want to go back to New York? Because the last time I went there, Shake Shack was closed when I walked by. The world-famous burger shack—strategically placed around the city and in various states—was well-praised for its burgers and hot dogs. You’d think I’d get sick of burgers, but with so many critically acclaimed burgers in the world, I must make sure that it is in fact better than the classic Big Mac.